Nvidia stock is down 14% pre-market after the company slashed fourth quarter revenue (and gross margin), blaming China, macroeconomic conditions, and a decline in crypto demand. 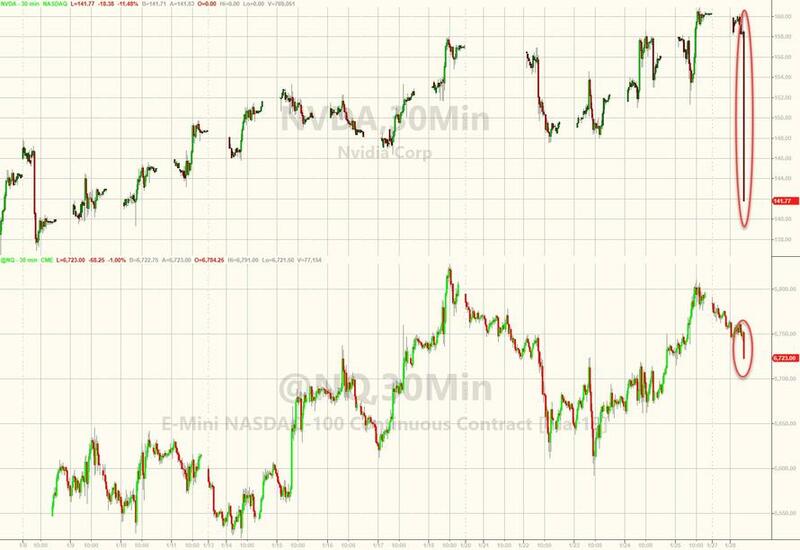 NVIDIA (NASDAQ: NVDA) today updated its financial guidance for the fourth quarter of fiscal year 2019, reflecting weaker than forecasted sales of its Gaming and Datacenter platforms. In Datacenter, revenue also came in short of expectations. A number of deals in the company’s forecast did not close in the last month of the quarter as customers shifted to a more cautious approach. Despite these near-term headwinds, NVIDIA has a large and expanding addressable market opportunity in AI and high performance computing, and the company believes its competitive position is intact. “Q4 was an extraordinary, unusually turbulent, and disappointing quarter,” said Jensen Huang, founder and CEO of NVIDIA. “Looking forward, we are confident in our strategies and growth drivers. “The foundation of our business is strong and more evident than ever – the accelerated computing model NVIDIA pioneered is the best path forward to serve the world’s insatiable computing needs. The markets we are creating – gaming, design, HPC, AI and autonomous vehicles – are important, growing and will be very large. We have excellent strategic positions in all of them,” he said. 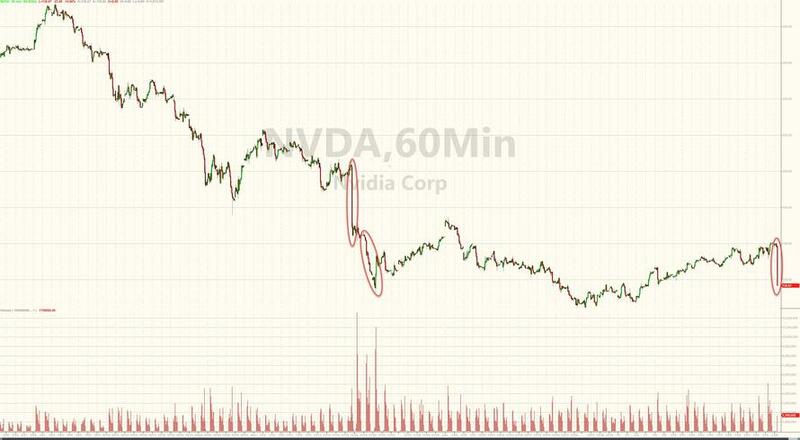 As one wise-cracking tweeter ( @Hipster_Trader ) noted, "if you liked NVDA at $292 in October, you'll love it at $137..."